What happens when you join forces with some of the best bloggers around? This post! A few months ago I was reading some of my favorite blogs and felt selfish keeping their words, perspectives and stories to myself. So instead of just sharing their links, I decided to invite them over to my page and team up to create a post. Lucky for me (and you!) they said yes! Anyone going through life knows about the difficulties of mental attacks and the way that lies can be so easy to believe at times. This fact got us thinking, as women who have struggled or are struggling with infertility, what are some of the lies that we have faced on this journey? And how are we dealing with them? Believing lies and feeding those negative thoughts are one way that we stumble, pick our scabs and dig ourselves into an even deeper hole that can be tough to get out of. Some days it’s simply recognizing that what we are bemoaning is a lie – other days it’s just finding the strength to keep fighting what we know isn’t true. I’ve asked these ladies to share with you today one of the great lies that they have defeated (or continue to battle) and I hope and pray that these encourage you as much as they have me. These women are in all different phases of their TTC journey – some pregnant, some adopting, some still trying to conceive – yet I believe that their stories will bless each of you. Be sure to give them some love too and check out their blogs (linked throughout) and walk along with them. So without further adore, please enjoy reading the words of my amazing friends! Recently I was asked in a study to list out words that I associate with myself – labels that define me. I was surprised at how quickly the first word came – broken. If you read my last post on PCOS and what I deal with, you may understand how I got to that word. It came so quickly that it seemed like my subconscious had been stewing on it for a while. And as I scribbled in my notebook, the word broken just made so much sense. My body doesn’t work right. It doesn’t do what is supposed to be natural for so many women. Verses in the Bible about how we (women) are supposed to be ‘fruitful and multiply’ make me want to cry. “I can’t! I’m trying!” I fight shame constantly over the fact that my body isn’t doing what it’s supposed to do. It’s broken. But then I remembered these simple verses – and it changes everything: “You made all the delicate, inner parts of my body and knit me together in my mother’s womb. Thank you for making me so wonderfully complex! Your workmanship is marvelous—how well I know it… How precious are your thoughts about me, O God…” (Psalm 139:13, 14, 17a). These verses reminded me of these truths – one, He made me. Insulting my body is insulting His work. Does anyone remember that old bumper sticker from the 90’s that said “God doesn’t make junk!” It’s true! Two, we are complex – wonderfully complex. There are so many moving parts in our bodies and just because something isn’t working correctly doesn’t mean the product is broken. It doesn’t define me – I am not broken. Third, His workmanship is marvelous, therefore I am marvelous. (I will withhold from inserting a picture of me in a princess crown, pretending to be marvelous.) But all joking aside, I am not anything less than His perfect daughter, created in His image and crafted to be me. Insulting His creation is insulting Him. Lastly, He thinks precious, beautiful thoughts about me – a Creator who is proud of His creation, not ashamed. The past five years have been quite the journey of ups and downs with our struggle with infertility. At times, I am on top of the world knowing and believing the truth that God is good, and He is trustworthy and He is able to do immeasurably more than all I could ask or imagine. Then there are times I doubt my healing and restoration will ever come. I didn’t realize until a few weeks ago actually, that I didn’t feel worthy of healing or good gifts from God. How could that be? The Bible says, that “every good and perfect gift is from above” and I know that God is the giver of good gifts. He loves me, and He is working all things together for my good and His glory. I believed this lie that because of sins in my past, that I wasn’t “good enough” to receive good gifts from God. I have been praying and believing that God is ABLE to heal me, but I don’t think I’ve really believed He will. The Word also says, “nothing is impossible with God”, and “God is ABLE to do immeasurably more than all we could ask or imagine”. God is the great physician, and in this season I feel He’s asking me to stop my striving, and know that HE is God. While I can’t expect God to respond in a certain way to my faith, knowing there is no “formula” for healing and restoration, I can chose to believe that God is who He says He is, and He is GOOD! He is about the ultimate good and glory of His name and His story. He doesn’t have to prove that He’s good by doing what we want Him to – we just chose to believe He is trustworthy! He is the giver of all good gifts, and I am enough [so are you!]. In my first few years of infertility, I believed that I was alone. I believed that I was surrounded by pregnant women who got knocked up easily. But it wasn’t true. It was a lie that I was telling myself. There are so many of us who are suffering or have suffered varying degrees of heartbreak on the road to parenthood. Some silently and some wearing it all on their sleeves. If 1 in 6 couples have trouble growing their families, we are really never alone on this journey. Now that I am finally pregnant, I realized something that I will never forget and remind myself often using the phrase “you don’t know her story”. What do I mean by that? Well, a woman in the depths of infertility despair could look at my growing baby bump and think negative thoughts about how she is the only one in the world who can’t get pregnant. That everyone around her can have a baby with such little effort yet it’s so hard for her. But she doesn’t know my story. That woman would have no way of knowing that I am just like her. That this pregnancy didn’t come easily or without a fight. That I shed my share of tears. That I tried to conceive for almost 6 years before finally seeing a BFP. That I had to endure three failed IUIs and three failed IVF attempts before finally using an egg donor to conceive my miracle baby. This woman could feel pain and alienation. But she just doesn’t know my story. I wonder how many pregnant women I saw when I was trying to conceive that made me feel sad. How would I have felt if I had known that they had just got done fighting their own hard battles? Would I have felt connectedness? Camaraderie? Compassion? Hope? If I had just reminded myself that I am not alone and that I don’t know her story. How many times have you heard someone say that they feel God is punishing them for something they have done? Many people have the thought that the reason they are going through a trial or suffering is because of something they did to cause it and therefore Jesus is punishing them. We know God doesn’t punish us, but does He discipline us? Yes. Just as a parent disciplines their child to correct and train them to be more mature, that is what our father does with us. He does it out of love. He does it because He cares for us. If you ever think that you are being punished, I encourage you to reflect on God’s character. When you have fresh revelations of who He is, you will never doubt that all of His actions towards you are out of love. The lie that adoption is ‘plan b’ is a lie that I’ve continually had to lay at Jesus’ feet. It is very easy for me to think, “Oh because we couldn’t get pregnant, adoption is what we had to do so we could become parents.” The truth is that my God is not surprised by our journey to adoption, which was His best plan all along. THAT eases my soul. It gives me peace and allows me to praise Him because His plan is far better than I could ever imagine. My husband and I have played this silly game called “what is the truth?” I will tell him all these things that are going on in my head from the enemy and he will call it a truth or lie. It sounds super silly, but it works. It helps me match up my thoughts with the Word of God. The truth is that infertility is how we got to adoption. It is OUR story. And I accept that with joy in my heart. I have no idea what our future looks like, but I know the Heart of my Savior. His heart is turned towards His children and He wants nothing but the very best for you and for me. I hope that this has encouraged you to make your journey, just that, YOURS. No one else has it. Take ownership, be thankful. It is a privilege to have your own story and live it out. Much love to each of you and know that “Plan A” is what God has had planned for you since the beginning of time AND it is the absolute best! I sat on the edge of my bed taking my blood pressure and as I waited for the reading, I remember thinking to myself that if it is within normal range than I am finally healed of this symptom resulting from PCOS. However as the numbers appeared and I saw 160/92, I heard a whisper that said, “Not healed yet.” Each morning when I would pluck out 15 dark coarse hairs from my chin, I would hear the same voice whispering, “Not healed today.” As my menstrual cycle would go past 50 days for the fourth time in a row, I could hear it again quietly reminding me that I was still not healed. It wasn’t until I looked in the mirror one day, wondering when I would be healed of this dreaded illness that consumes my entire being, that I heard a different voice…a different whisper. This one said, “By His wounds you ARE healed.” I laughed! If I am healed, then why do I still see the evidence of PCOS? Why do I still have high blood pressure, excess facial hair, insulin resistance, lack of ovulation and long cycles? I am not healed…at least not yet. It wasn’t long after thinking those thoughts that I realized the voice I had been listening to…the one telling me I wasn’t healed yet, was the enemy. He was feeding me the lie that my healing of PCOS was a work to be completed rather than already finished. Isaiah 53:5 says that by His wounds we ARE healed. It doesn’t say we might be…will be…could be…but ARE. God wants you and me to know that what we desperately need Him to do for us has already been done. Jesus’ finished work at the cross satisfied the Father’s heart that from heaven’s throne came the pronouncement, “It is done!” in response to Jesus’ cry, “It is finished!” on earth. I no longer worry about what I see or feel, or the presence of contradicting reports. These are just lies from the enemy and though they are very real, I know that they are temporal and not the truth. God’s Word is the truth and when you start believing that only what God’s Word says about your situation is true, all the lying symptoms will eventually have to line up with His Word. I am living proof as I can testify that once I began ignoring the voice of the enemy and believing the truth that by His stripes I am already healed, my cycles suddenly became much shorter and ovulation started occurring naturally. I give all the honor, glory and praise to God. My question to you today is what do you see when it comes to your healing? Do you see a finished work or a work that is yet to be completed? God the Father says, “It is done!” Jesus says, “It is finished!” What do you say? Sixteen weeks along – this milestone was filled with excitement – if we chose to, we could know the sexes of our babies, see how big they’d gotten, and watch them squirm on the ultrasound screen. Instead I laid down for what seemed like hours as the ultrasound technician scanned over and over on my belly. Her excitement waned and she was no longer as chatty as before. I wasn’t worried until she brought the doctor in – a doctor who couldn’t be any worst at delivering bad news. The news about one of my baby’s health was accompanied by the fiery arrows of the devil. They pierced into me and I began to question all of what I thought I knew. My babies are a miracle! GOD himself directed our path to pregnancy, He orchestrated every single step and I knew that. In that moment I wasn’t sure I knew anything and I was positive that I didn’t hear God correctly. I was sure that I had been disobedient and that God was punishing me by stunting the growth of my baby. I hope this post has blessed you as much as it has blessed me! We love touching others as well, so feel free to share with your friends or readers! I’d love to hear what lie you are debunking and how you are doing it too, so please, join in the conversation and share your heart with us in the comments! Until next time … XOXO! I can’t believe this was only a week ago! XO! This is great, these are all definitely lies for sure!! We are not broken, we are all such strong women who have proved these things to be wrong!! Such an awesome post, great job you guys! Thanks for reading and for commenting!!! It was surprising (and not) how fast lie ideas came to me … they sure do bombard my brain routinely! Thanks for stopping by friend! Thanks again for organizing this post, Chels! I turned out wonderful. IT turned out wonderful. Sheesh! Typos. Wow…Thank you Ladies for writing this post. I think I probably have believed or currently believe several of those lies. The two that stand out the most is that I’m not worthy of a baby and I’m being punished. I have struggled with the punishment one for a long time and I’m still not past it if I’m honest with myself. I feel like if I wouldn’t have been so carefree with my body during my 20’s and early 30’s…if I would have held that gift that God gave me closer to my heart instead of freely giving it away in an effort to find love, then I wouldn’t have some of the things that have caused my infertility. As I get better about being in His Word…I hope to finally believe that this is a lie, but it’s difficult at times. Thank you so much for stopping by and leaving a comment! I am so thankful to hear that this post impacted you too. I know I too am guilty of believing a lot of these lies on a rotating schedule. Working hard to defeat those thoughts! I know that His character is good and loving though and that reminds me to offer myself the grace He has already given to me. :) XOXO! Wow! I simply love this. Thank you ladies for organizing this. Thank you so much for the comment and best wishes. It means so much more than you know! XOXO! I am so thankful that this blessed you Amanda! Big hugs! So blessed to have had you participate! It was a beautiful thing God was able to create!! Love you!!!! Hi! New reader here. THANK YOU for writing this! I too am struggling with infertility as my husband and I start on our second IUI. This was such a great post–thank you for the different perspectives. Why hello Ryanne! Welcome! 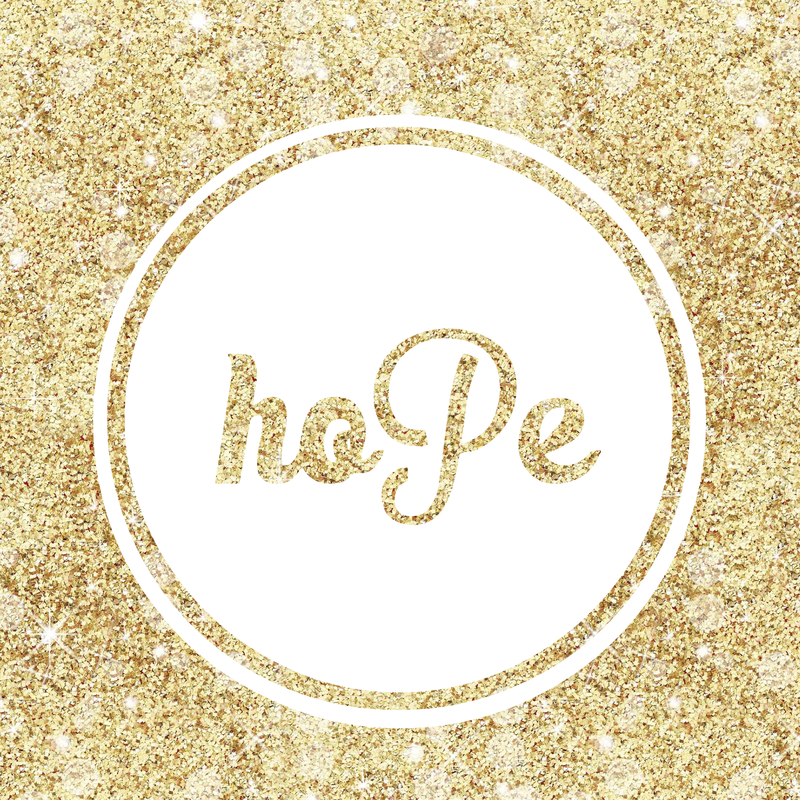 I am so thankful you have stopped by and read this post! I am so sorry to hear that you and your husband are struggling with infertility. I pray that this next IUI is your LAST IUI! Hugs! I am so glad you were encouraged Kate! I am certain that you know how much of an inspiration you are to ME! xoxo! So wonderful, loved hearing all of your “lies”. I’m visiting from Jessah’s blog, but excited to see where y’all journeys end/begin. Hugs to all of you struggling through this heartbreaking fight. Hi Whitney! Thanks for stopping by from Jessah’s blog! Isn’t she great?? I appreciate the hugs and love you sent! Thanks for the comment and for caring enough to read and share in this with us! Very creative and different way to showcase different perspectives! I really enjoyed this. What a great compilation from amazing women! I got to team up with the BEST! Thanks for reading Amber and for commenting! XO! Amanda, I am so glad that this blessed you! Ah! I love how our Savior works!!! XOXO! What a beautiful thing to do, to get together and share such a post! After more than six years of infertlity (and still there) myself, I can relate to how we have to fight off such lies. I have also been greatly blessed by the support within the infertility community and am touched to see the way that you’ve all come together. Having recently started blogging myself, I look forward to connecting with others on their journey. We each have faced pain and battles, but we have inspirational stories to share too! Thank you so much for sharing some of that inspiration here. LOVE that you did this. What a great idea! 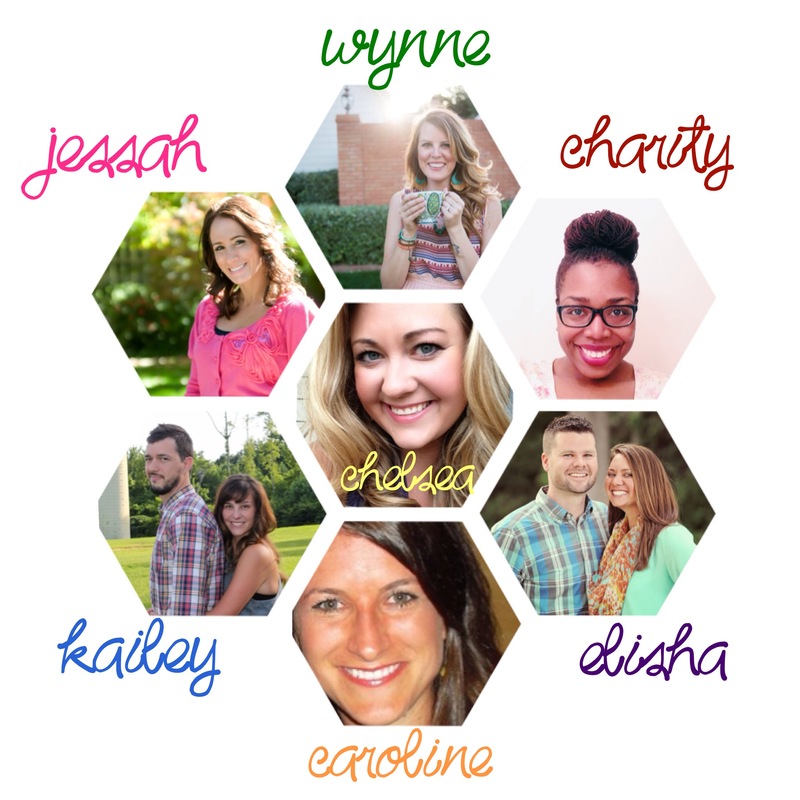 Each of these ladies has such a testimony and I love that you’ve organized them all into sharing them here. Thanks for reading and leaving this message! I’m so thankful for how God has used it to bless and encourage others!